日本自動車デザインコーナー 「Japanese Car Design Corner」: Infiniti teases new JX premium crossover! 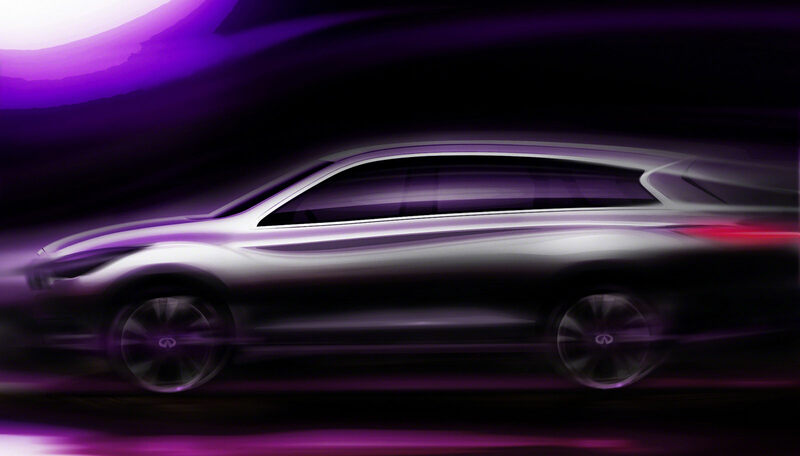 Infiniti is planning to introduce an all-new luxury crossover badged as JX. A concept will be presented in August and the production version will make its debut at the Los Angeles Auto Show in November. Sales will start in spring 2012. According to Infiniti, “The all-new Infiniti JX is the 7-passenger antidote to the ho-hum luxury crossovers that are out there right now”.